Chatdesk is a customer service tool that equips its customers with actionable data and insights for customer feedback across the social media landscape. I translated a concept into a product. Since this was an introductory project to get a feel for how well we worked together, I trusted the co-founder’s ideas and direction for this product. I was sure to articulate where user research insights could further refine the product vision, but I prioritized timely execution. Even though this product was limited in scope, I started with sketches and wireframes. 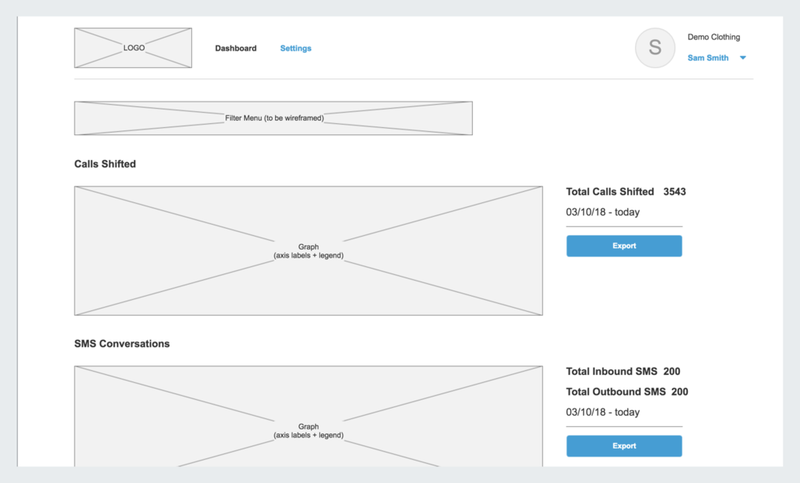 In addition to ensuring that we were on the same page about the product design itself, starting with sketches and wireframes established a design communication between the co-founder and myself. I re-imagined existing visual design elements for this new product so that developers wouldn’t have to do any design interpretation themselves. The co-founder was pleased with the process and speed with which this project came together, so he asked me to work on more product design projects for the company, including a system-wide visual design update.